Louis Catorze disappeared without a trace at the weekend. After hunting all over the house, including in locked cupboards, we eventually found him in the guest bedroom, buried deep underneath the duvet and utterly out of sight except for the tip of his silly little tail sticking out. So, now that the weather has turned colder, and given that he has only used his warm-weather bed a couple of times, I have reinstated his winter igloo. The little sod initially sniffed suspiciously, as if it say, “Really? Pour moi?” But, when he realised it wasn’t some cruel trick, he was in. Cat Daddy was disgusted when I told him, as if I had given our hypothetical human child absinthe and cigarettes. “I can’t believe you’ve GIVEN IN,” he sighed. But he felt a little better when I explained that this meant Sa Maj wouldn’t be tunnelling into the guest bedding, leaving a trail of hair and whatever other unknown crud he always seems to be covered in. The dark winter seems a lifetime away now, and, somehow, the longer days give us the feeling that we have so much more time to do things. That’s what it all means to us, at least. To Louis Catorze, it means burrowing deeply into his igloo and never coming out. I did remind Cat Daddy that evolution happens progressively over many generations of creatures, and not with just one animal over a couple of weeks, but he wasn’t really listening. He had a point about the brain-dead bit, though. If Sa Maj were our human child, we would be picking up his bed and physically tipping him out (and possibly also making him get a job, as a 9-year-old cat is probably about 50 in human years). But, because he is a cat, he just gets to lie around in his pit and not deal with any other living souls if he doesn’t want to. And the worst we will do is complain about him to strangers on the internet and transform his convertible igloo into the warmer-weather bowl shape. Is it possible to be disgusted at his laziness and, at the same time, envious of his life? Le Roi est confortable: vive Le Roi! I have swivelled Louis Catorze’s winter igloo around by 45 degrees. And, with the weather turning life-threateningly icy this week – London had a massive 5mm of snow on Thursday – he has been spending a fair amount of time in it. Well, ok, I don’t suppose any Hollywood big shots will be queuing up for the film rights to this one, but the comfort of Le Roi Soleil is at stake here. And that is not a matter to be taken lightly. Previously Sa Maj had to hop straight up and into the bed in one movement, as the entrance to the bed was right at the edge of the wooden plinth. But, with the new angle, he has plenty of plinth-space to hop up and can step more easily and dignifiedly into the bed. And he is also able to extend his front paws out onto the plinth and have a good old stretch mid-exit, as opposed to jumping out/down and THEN stretching. Naturellement I have been unable to capture his stretch on camera because he either comes out of his igloo too quickly, or doesn’t come out at all when I want him to. As well as his summer chaise longue, Louis Catorze now has a cosy bed for the winter. And, if you squish down the roof from the top, it folds into a bowl-shaped bed that also serves for spring and autumn. The bed was gifted by one of Sa Maj’s favourite pilgrims in the whole world, and it’s not hard to see why it was chosen: a creepy black kitty with vampire fangs has to have a Hallowe’en bed, n’est-ce pas? Our friend did initially wonder about pink for a boy cat, but I don’t suppose cats really have colour preferences. And, if they did, something tells me that our boy would opt for pink in an instant. When we are home, we like it when the little sod sits on our laps. But, when we’re out, it’s nice to know that he has a comfy little spot of his own. Below is a picture of him enjoying his gift, and the fact that he took to it so quickly was something rather special as he usually does the opposite of whatever is expected (or wanted). I hope he feels this snug and happy forever. Dear God. Yet another night of disturbed sleep, because a certain someone decided to break into the cupboard under the stairs and pop bubble wrap (again) at some hellish early hour. 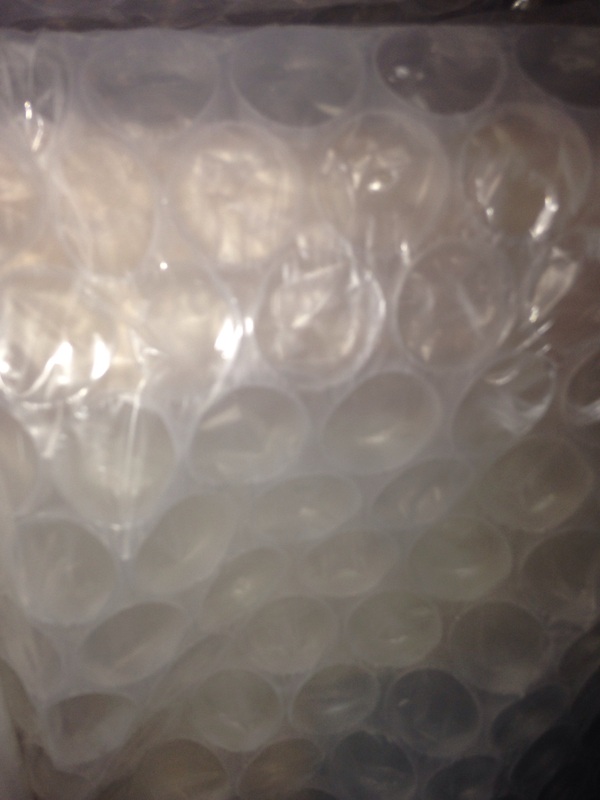 Now, I don’t know if you have ever been woken from a deep sleep by the sound of bubble wrap – probably not, as I don’t imagine you share a house with the sort of inconsiderate shite who would do such a thing – but, believe me, it doesn’t sound like bubble wrap. It sounds like gunshots. So, rather than waking up cursing that inconsiderate shite, you wake up terrified for your life and reaching for the nearest weapon with which to defend yourself (in my case, a tube of Dermalogica moisturiser). Cat Daddy got up between around 2am and 3am to go downstairs and haul Louis Catorze’s arse out of the cupboard. I was mildly perplexed that he chose to say, “Louis! What are you doing?” rather than just getting on with the hauling out – after all, Louis Catorze wasn’t about to reply – but I guess it was still better than having to go down and sort it out myself. After much scrabbling around I eventually heard the cupboard door close, followed by, “You’re putting on weight. You’re so MEATY!” Then there was Cat Daddy’s stomp-stomp back upstairs followed by a gentle pitter-patter of stupid little paws after him. Finally Louis Catorze jumped onto our bed, stretched out across both our stomachs and went to sleep on top of us. WHY IS HE BEING SO ANNOYING? I suspect that, if we were dealing with a child, Mumsnet and their sort would be instructing me to wear the little sod out with relentless activity during the day in order to make him sleep at night. Louis Catorze sleeps under a bed from about 9am till after dark and barely moves a whisker during daylight hours; could it be that I need to kick his lazy behind into some sort of action? It seems rather mean to wake a cat from his sleep, but surely it can’t be good to go through a whole day without a spot of sunlight touching his body; maybe a bit of vitamin D could be good for his immune system? I guess these are questions I could ask the vet when I book the appointment, although if any of Le Roi’s loyal subjects have any suggestions, I would love to hear them. Ugh. Another night of my cat, who typically just shuts up and cuddles quietly in bed, padding up and down my body, purring, clambering over packing cases and popping bubble wrap (!) in the room next door, all the while singing the anthem of his forefathers. A couple of threads on a Facebook cat forum revealed that many of the members’ cats have also been behaving in a similar loopy fashion lately, and someone had suggested that it could be linked to tomorrow’s Blue Moon. 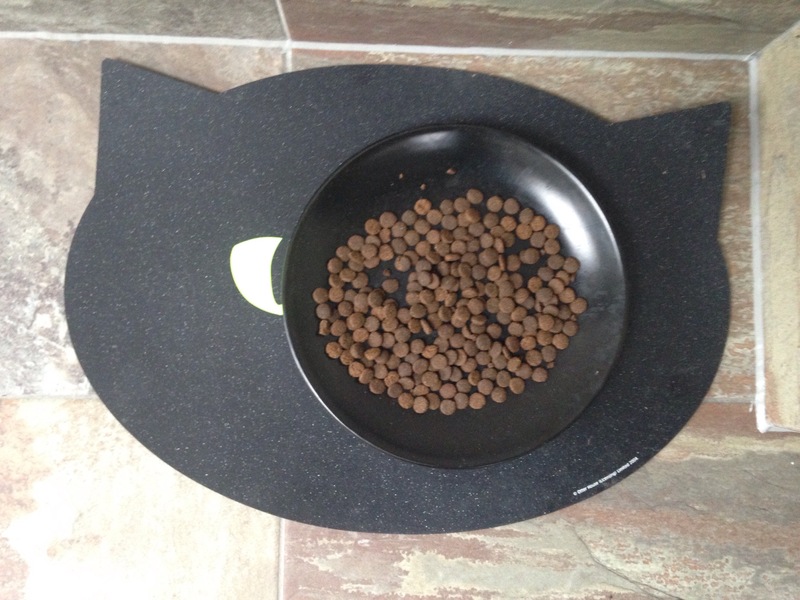 Also, Louis Catorze somehow managed to fashion E.T.’s face out of his food last night (see below – no Photoshop or fakery used here), which is conclusive proof of something spooky in the air. Is there a mysterious alien mothership somewhere, silently commanding all our furry overlords to simultaneously annoy the crap out of us? Could the moon BE that very mothership? For those who aren’t familiar with the moon and its workings, a full moon is (obviously) when the moon appears as a whole disc in the sky, and a Blue Moon is when this happens for the second time within a calendar month. And, because a Blue Moon doesn’t happen very often (hence the expression “Once in a blue moon”), it’s regarded as an especially enchanted time. Accidents, criminal behaviour and hospital admissions (for humans) are said to be more numerous during a full moon; could something similar be true for cats, too? I consulted our good friend Google for advice, and discovered a wealth of information confirming that the full moon was, indeed, responsible for nutso behaviour among both humans and animals. For instance, the word “lunatic” originates from the belief that the moon’s changes cause insanity. And, on an unrelated note, be very afraid, men of the world: apparently women are programmed to menstruate during the full moon, all at the same time, but the only reason we don’t is because artificial stimulation from electric lights, computers etc. has overridden nature. I told this to Cat Daddy and he sort of pretended not to hear me, muttering something about chocolate and asking God to help him. Anyway, the one piece of information that really stood out was this: “It’s not the full moon, it’s the night. Night people are a whole subset of the population, and the lore includes night beings such as vampires and werewolves.” Seriously? I’m to expect potential sleep deprivation at the paws of Louis Catorze EVERY SINGLE NIGHT? I was so shocked that it put me off Google for a whole hour. So it seems I shall never sleep again, but Cat Daddy can’t help but feel slightly intrigued about our boy being some sort of otherworldly monstre. I guess we kind of suspected it anyway as he’s black with vampire teeth and a bit of a weirdo, so Cat Daddy reckons we need to encourage the flourishing of this intrinsic penchant for the night, rather than pushing him off us and swearing at him. Will his nocturnal annoyances escalate at Halloween? What about the winter solstice, when 18 hours out of 24 are in darkness? Cat Daddy is quite excited about finding out. I myself think I can live without it.